A kitten who touched hearts when she was rescued after being thrown from a car was adopted this week by a family who wanted give her a loving home. 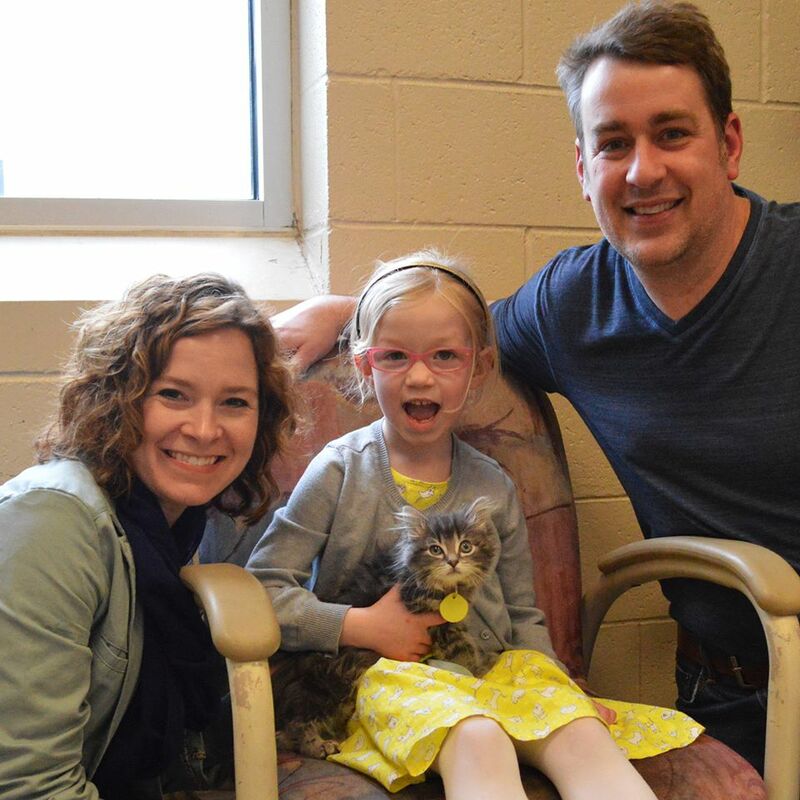 A kitten who touched many hearts in the Milwaukee, Wisconsin area when she was rescued after being thrown from a moving car on March 30 was adopted this week by a family who followed her story and arrived at the shelter at 4 a.m. Tuesday hoping to be first in line when she was offered for adoption. Buffy was brought to the Wisconsin Humane Society on March 30 by the good Samaritan who rescued her when she was thrown from the car into traffic. She returned to the shelter this week after several weeks in foster care. After her spay surgery, Buffy was ready to find her new home. I was here at 4,” Jim Buerosse told Channel 6 News. 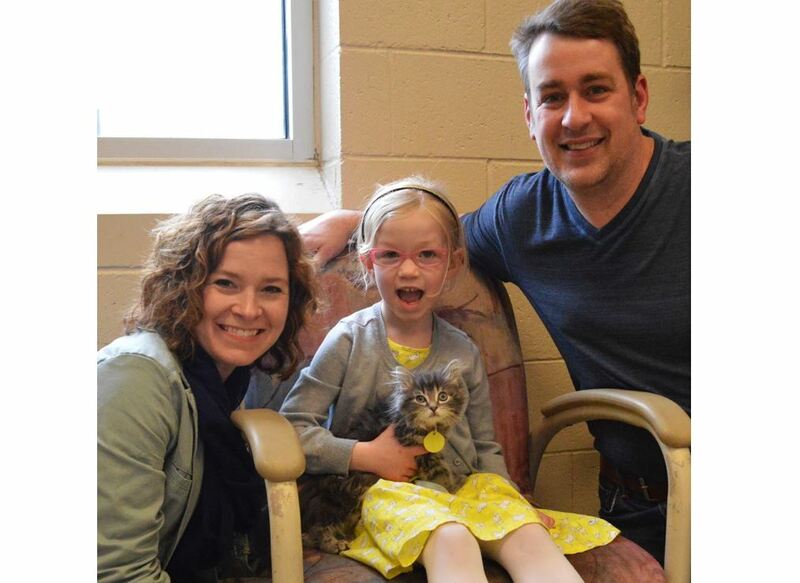 Jim’s wife and daughter joined him before the shelter opened for the day, and they adopted the beautiful longhaired gray kitten. “Completely senseless act of cruelty having her thrown out of a moving car, but that has been matched and outweighed by these amazing compassionate people [who have taken an interest in Buffy],” Angela Speed with the Wisconsin Humane Society said. The shelter appreciates all the attention, interest and support for Buffy and hopes her rescue and adoption will inspire people to adopt the other deserving cats and kittens waiting for their forever homes. “Buffy is not alone. 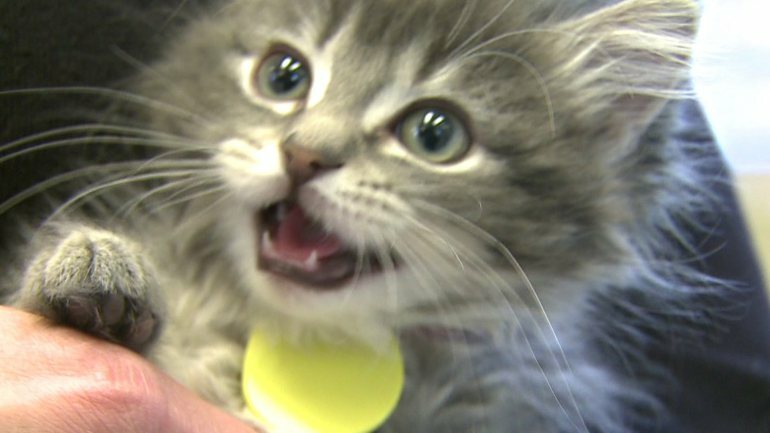 We have other kittens here and cats at our adoption floor looking for new homes,” the Humane Society’s Angela Speed said. 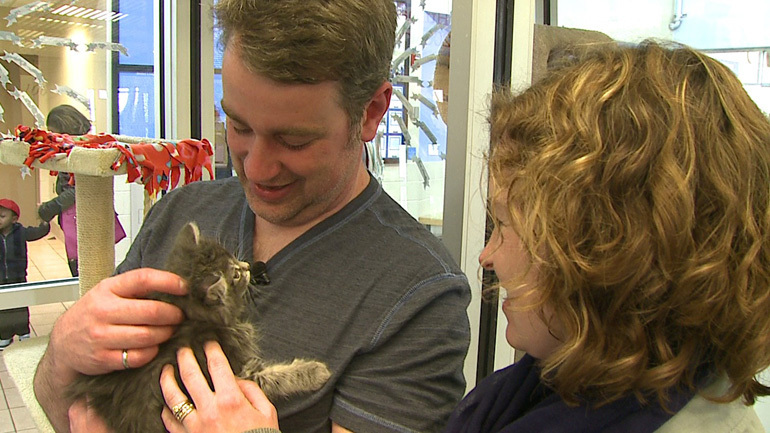 “Last month we told you about Buffy, a 4-week-old kitten who was thrown from a moving car. A Good Samaritan came to her rescue that day, and for the next several weeks, her foster mom raised her to grow up big and strong. Buffy returned this weekend for her spay surgery and check-up, and came through with flying colors. When Jim, Stacey and their two daughters saw Buffy on our website last night as “Coming Soon,” their hearts leapt. They had been following her story, waiting for her to appear on the site.